Did you know the SaaS (software as a service) model has been around since the 1960s? Back when computers were the size of conference rooms and cost over a million dollars—it was easier for companies to rent computer systems from providers. And so, SaaS was born. I cut my teeth at DoubleClick, one of the most successful ASPs (application service provider) before ASP evolved to SaaS. I learned the hard way that in this model, the only thing that matters is the customer. SaaS applications exploded in popularity around the turn of the millennium—they made life and work much more convenient. Users could access apps quickly from remote locations, update painlessly, and have all this convenience at a lower cost than on-premise. But the real beauty of the SaaS model, and the true reason for its popularity, is that it forces a vendor to be customer-centric. When companies are dependent upon recurring revenue, they can’t exactly skimp on customer service. 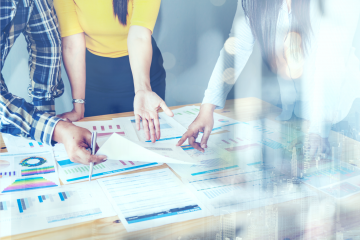 This customer-centric model brought about a new department whose sole responsibility is keeping customers happy—customer success. Even CIOs are becoming customer-centric as each new feature and improvement must reflect customer needs. 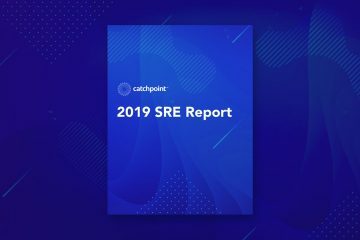 When I onboard employees at Catchpoint I always highlight that SaaS stands for Software as a Service, and that Service is not just about the delivery of software, but the entire service experience. SaaS users expect to be successful with our products. SaaS means customers can log into a solution, integrate other solutions, collaborate, and manage processes with ease. As vendors, we provide improved processes, improved support, and improved user experience. Why are SaaS companies now forcing customers to do things they don’t want to do? Recently, Dynatrace announced that they’re moving all their synthetic monitoring to the cloud. A move that means their users are forced to migrate to the cloud as well. 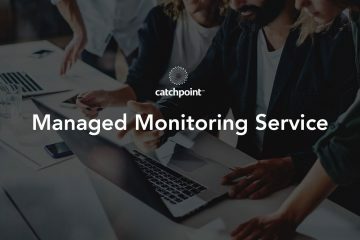 Many customers, partners, and observers in the monitoring industry have asked for Catchpoint’s thoughts on this decision. There’s been a significant shift in the monitoring ecosystem in the last few years, like the emergence of New Relic and AppDynamics as APM powerhouses. And, to compete in the digital experience market, these APM companies launched limited synthetic capabilities with cloud-only vantage points. The Dynatrace announcement is also an insult to years of investment in creating better systems to catch issues before they become expensive catastrophes. And with the emergence of AI, synthetic data is more relevant than ever to applications in many industries. It’s especially useful to DevOps engineers and SREs who test applications, detect issues, and resolve them. Cloud-only synthetic monitoring isn’t accurate monitoring. It’s a dangerously blind limitation. Cloud-only synthetic as part of a digital experience monitoring strategy doesn’t give you a correct view of digital experience. Users take a significant hit on the ROI of Dynatrace. Not only because they’re losing accurate synthetic monitoring capabilities, but because they’ll have to rework all their integrations, processes, and collaborations. Users won’t know if issues belong to them, or to their vendors. They won’t be able to enforce their SLAs either—another huge hit to ROI, as users can’t uphold vendors to service agreements. As a business leader, especially as one with a board and investors, I can certainly understand the need and pressure to increase profits. But as a business that puts customers first, I must consider any repercussions to my customers. Otherwise, I risk churn by trying to increase profit. Being inconsiderate of our customers’ profits and business health is the opposite of everything great about SaaS. It’s anti-customer. At Catchpoint, we pride ourselves in putting our customers first. We build software that helps our customers put their customers first. Catchpoint users get an accurate and complete view of customer experience. Our 700+ nodes provide more vantage points than any other monitoring platform. Our users can rely on our holistic approach to monitoring from here on, and we won’t be forcing anyone to migrate to anything less. Companies are innovating in the DEM space and Catchpoint is leading those efforts. We’re investing in innovation that improves the way DEM helps companies deliver on digitalization projects—and most importantly, how DEM helps protect brand, revenue, and operational excellence. We’re already working with many customers impacted by this decision to go cloud-only. Contact us today, and we’ll turn this frustrating move into an opportunity to improve your user experience.